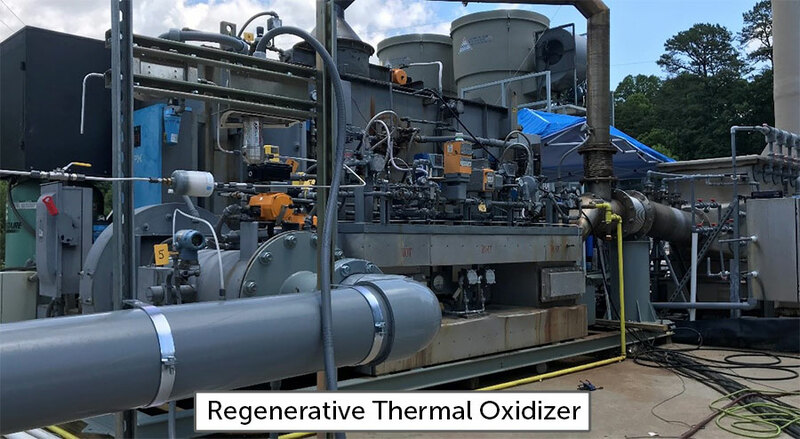 The regenerative thermal oxidizer (RTO) and vapor recovery (VR) portions of the Electrical Resistance Heating (ERH) system were down for maintenance from August 7, 2018 to August 24, 2018. The operation of the ERH system was suspended during this period. The RTO and VR systems were restarted on August 24, 2018, and heating by the ERH system resumed on August 27, 2018. Perimeter air monitoring and other safety measures were continuously implemented during this time. 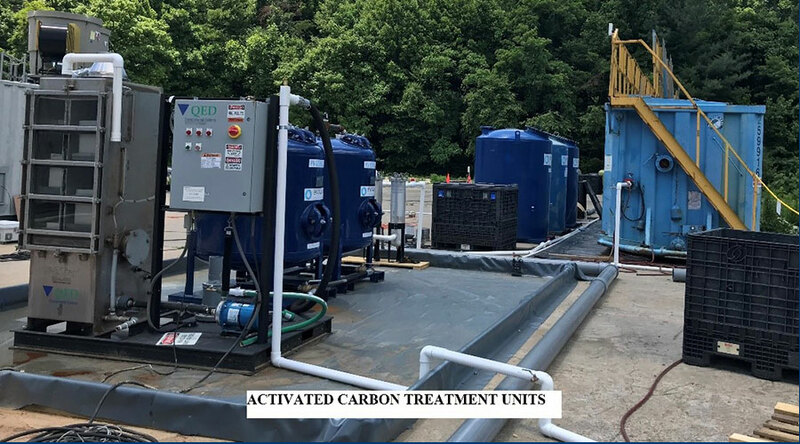 Average subsurface temperature was 93.0º C.
The ERH system has applied 5,233,305 kWh of the estimated 8,255,000 kWh of energy to complete treatment. This represents 63% of the estimated total energy necessary to complete remediation. 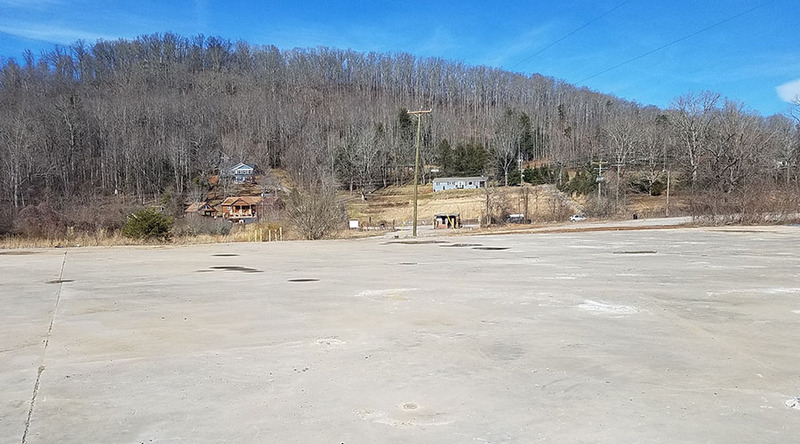 The estimated TCE removal to-date is 1,490 pounds.